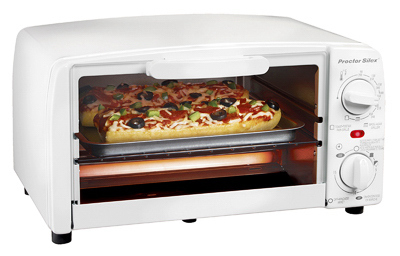 Proctor Silex, 4 Slice, White, Extra Large Toaster Oven Broiler, Fits 2 Personal Pizzas, 15 Minute Time With Automatic Shutoff & Ready Bell, Includes Broil Function For Cooking Versatility, Drop Down Crumb Tray For Easy Clean Up, 1050 Watts. Ed Young's True Value is a family owned business located in Williamsville New York, a small community outside of Buffalo. Our store is open most days from 8:00 am until 9:00 pm and offers many services to our neighbors. © Copyright 2014 • Ed Young's True Value. All rights reserved. Built with Moxie!